We use a dialer (outbound predicitive phoneplatform) which uses a specialized instance of a browser (IE based) with some special functionality. One of of the main things that is important , is the use of special types of attributes (variables) that refer to database table fields and point to widgets id's. 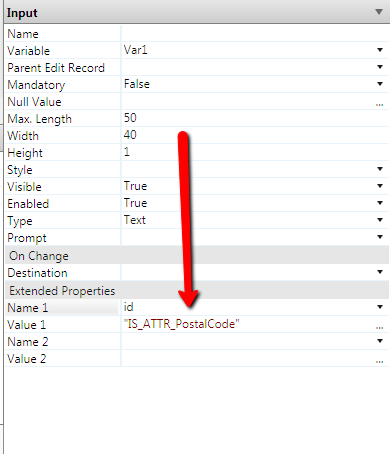 E.g: an attribute that refers to a field PostalCode must use an id "IS_ATTR_PostalCode". AgilePlatform generates it's own id's however.